Lee Noh-hyun, 32, who introduces himself as a “taeeumin,” or a person with the taeeum physiological type, said he has been trying to eat more beef and less chicken and pork since he was told of his type by his Korean medicine doctor. “Although I don’t have blind faith in the relation between the diet based on physiological type and health, I can’t still completely ignore it because Korean medicine, I believe, is reliable to some degree,” he said. Lee is one of many Koreans who have had their physiological type defined through Korean medicine. According to a survey of 6,915 people by the Ministry of Health and Welfare last year, 73 percent of respondents said they had experience with Korean medicine, with 84 percent saying they would be willing to revisit clinics practicing Korean medicine in the future. Korean medicine refers to traditional practices that originated and developed in Korea. It takes an individual approach with their physiological type based on the internal organs, looks and personalities: taeyang, taeeum, soyang and soeum. A person of the taeyang type, with large lungs and a small liver, tends to be impatient and hot-tempered but sharp. Vegetables and seafood are good for these people, while hot and spicy foods are bad. A person of the taeeum type -- large liver and small lungs -- tends to be quiet and not express their emotions. High-protein foods like beef are good, while a high-fat diet is bad. A person of the soyang type -- large spleen and small kidneys -- tends to be creative and outgoing but lacks endurance. Cool foods and pork are good, while hot foods should be avoided. Finally, a person of the soeum type -- large kidneys and small spleen -- tends to be mild and sentimental but passive. Warm foods and chicken are good and cold foods should be avoided. More recently, many Korean medicine clinics have taken to a more specific categorization, which has eight types: Instead of focusing only on the liver, lungs, kidneys and spleen, this form of Korean medicine has an expanded scope and also looks at the health of the patient’s stomach, pancreas, colon, gall bladder and bladder. “Korean medicine approaches patients with holistic views -- organic connection of organs -- and focuses on prevention of diseases, compared to Western medicine that focuses more on removing external factors such as viruses through antibiotics,” according to Song Mi-deok, vice chairman of the Association of Korean Medicine and director of the Kyung Hee Clinic of Korean Medicine. As to treatment, acupuncture, moxibustion and herbal medicine are mainly used. “Most of the treatments are used to remove pain by giving stimulus to meridian points on a patient’s body. The stimulus restores the inside and outside of a body. 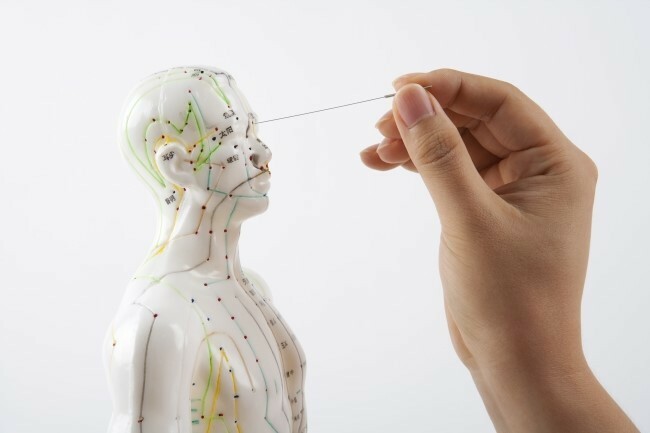 For acupuncture, it is now being tested to cure depression and insomnia,” said Kim Hyung-jun, a researcher at the Korea Institute of Oriental Medicine. For acupuncture, doctors use a thin needle for the stimulus. For moxibustion, they dry mugwort to make it very small and burn it on a patient’s body. For herbal medicine, 10 to 15 medicinal ingredients are decocted or crushed. Some experts maintain that neither Korean medicine nor Western medicine is perfect alone. Korean medicine can neither diagnose nor cure diseases like cancer. Western medicine often produces side effects, such as the emergence of super-bacteria due to increased levels of tolerance from the overuse of antibiotics. “The best is cooperation. Contemporary Korean medicine has now a high understanding of viruses and infection. It is also developing into medical acupuncture with the study on anatomy and neurology,” Song said. In Korea, a growing number of Korean medicine doctors are adopting conventional medical devices and equipment to more effectively treat patients. The Jaseng Hospital of Korean Medicine, one of the largest Korean medicine hospitals specializing in the treatment of spinal disorders, has had diagnostic radiology facilities since 2005 and also has mainstream physicians on staff. “For accurate diagnoses, general doctors diagnose a patient through a magnetic resonance imaging scan and an X-ray machine. 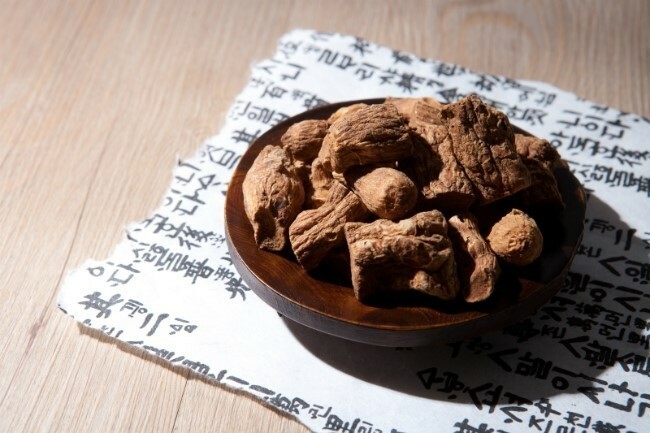 And Korean medicine doctors treat patients with Korean medicine such as acupuncture or Chuna manipulation,” said a spokesperson from the Jaseng Hospital of Korean Medicine. Chuna manipulation is a technique applied to restore balance to the body’s musculoskeletal system. Gentle corrective force is applied to the spine in order to restore function to the surrounding tissue, according to the hospital. Globally, there is a move among Western medical doctors to adopt traditional Asian medicine to more effectively treat diseases. The Johns Hopkins University School of Medicine and MD Anderson Cancer Center have a history of establishing partnerships with traditional Asian medicine clinics, including the Kyung Hee University Medical Center, the nation’s largest Korean medicine center.